“Uzumasa Limelight,” directed by Ken Ochiai, will open on Friday, Dec. 5, and run through Thursday, Dec. 11, at two Laemmle theaters: The Royal, 11523 Santa Monica Blvd. in West L.A., and Playhouse 7, 673 E. Colorado Blvd. in Pasadena. Ochiai and producer Ko Mori will participate in Q&As after the 4:20 and 9:50 p.m. screenings at the Royal on Friday and after the 4:50 p.m. screening at Playhouse 7 on Sunday, Dec. 7. The film will also open at Edwards Westpark 8, 3735 Alton Parkway in Irvine, on Friday, Dec. 12. Uzumasa has been called the Hollywood of Japan. Located in the historical Kyoto Prefecture, known as the cultural center of the nation, it has produced many jidaigeki, Japanese period films that are set in or before the Edo period (up to 1868). These films are loved by the Japanese people and praised all over the world, but would not be what they were if it weren’t for the kirareyaku, actors whose job it is to be “killed” by the lead star, without ever being in the limelight. “Uzumasa Limelight” is about those men, the unsung heroes of classic jidaigeki films; actors who loved and respected the art, even when the production of such films began to dwindle. It stars the legendary Seizo Fukumoto, Japan’s most famous kirareyaku, who appeared as the “silent samurai” in the 2003 Hollywood film “The Last Samurai.” Also featured are Chihiro Yamamoto, Hirotaro Honda, Hisako Manda, Masashi Goda, Nenji Kobayashi and Hiroki Matsukata. Using Charlie Chaplin’s “Limelight” as an underlying theme, the admirable story of these men dealing with a new generation and fading craftsmanship is told with melancholy and soul. The film premiered at the Shanghai Film Festival and has won five awards so far, including Best Picture and Best Actor at the Fantasia International Film Festival in Montreal, and is now under consideration for the Golden Globes in the foreign film category. It will also be released in Honolulu, Vancouver, Toronto, Montreal, New York, Portland, Texas, and Seattle. Ochiai made his first film at age 12. Immediately following his high school graduation, he left his hometown of Tokyo to pursue his dream of becoming a film director in the United States. He graduated from the USC School of Cinematic Arts in 2006 with a BA in production. In 2008, he received his MFA in directing from the American Film Institute Conservatory. 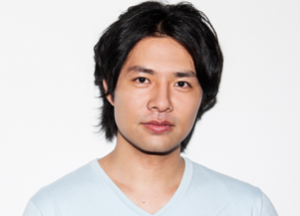 Ochiai has made more than 30 short films, commercials, and music videos, including “Half Kenneth,” which won the Jury Prize from the Directors Guild of America; “Frog in the Well,” which won the Crystal Award at the Heartland Film Festival; and “Miyuki’s Wind Bell,” which won the Sapporo Peace Award at the Sapporo Short Fest. He received the Young Alumni Award from the USC Asian Pacific Alumni Association in recognition of his achievements in filmmaking. For more information on this week’s shows, call (310) 478-3836 or visit www.laemmle.com. Visit the film’s website at www.uzumasalimelight.com/. To see the trailer, click here.